A 404 page is shown if the page the visitor is looking for doesn't exist. They might have followed an old link or typed in the URL of the page incorrectly. 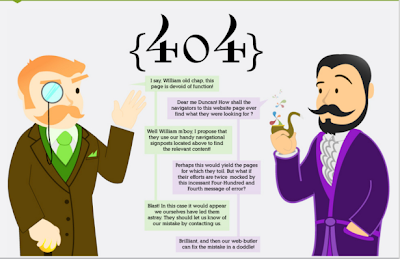 When designing the 404 page for your website, what should you think about? - tone of voice - don't make it too technical. 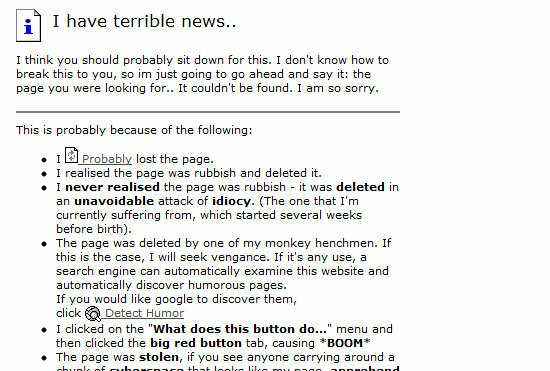 You just need a simple messaging explaining that the page they were looking for doesn't exist. A bit of humour doesn't go amiss either ! 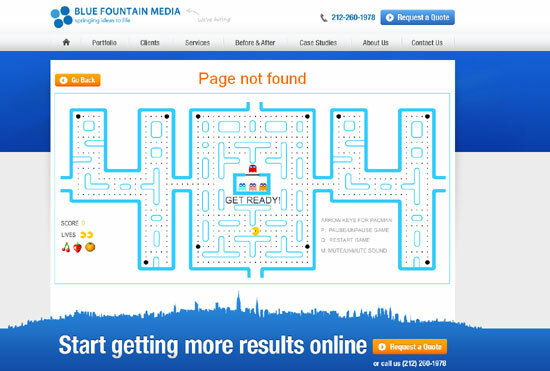 - clear navigation, or menu - to make sure the visitor stays on your website. - branding - the design should fit in with the rest of your site. - a search box/ function can be useful in helping visitors find the content they were looking for. 1. Erm, this is awkward. Know any jokes? We love how the jokes just keep coming as you click on the image ! 2. I say, William, this page is devoid of function ! 3. 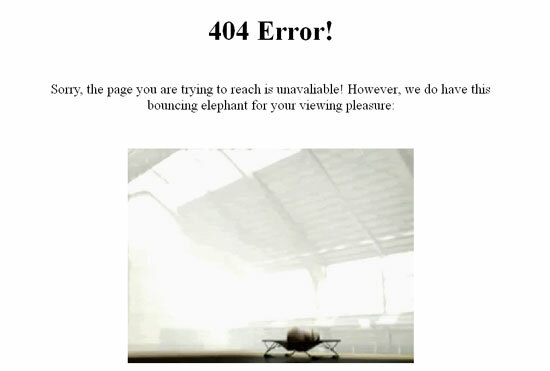 Here is a bouncing elephant instead....This page is quite possibly our favourite. Mostly because of the sheer randomness. 4. Can't find what you're looking for? Pacman is surely the answer. 7. Oh dear. 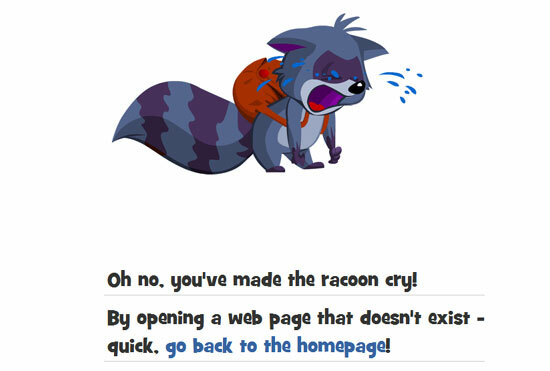 You made the racoon cry. 8. "Seems as though the cat got the server's tongue." 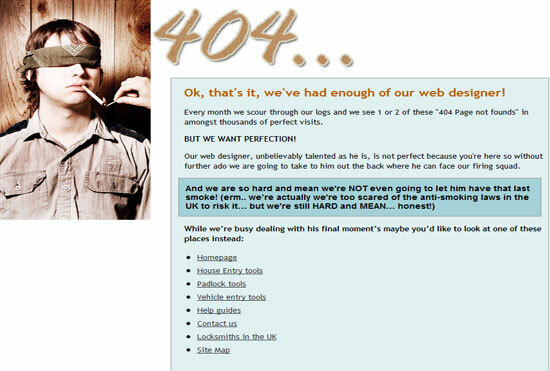 Yes, this wins the prize for strangest 404 page. 9. Let's shoot the web designer. 10. This last one needs to be visited to get the full dizzying (quite literally) experience. Here's the link. 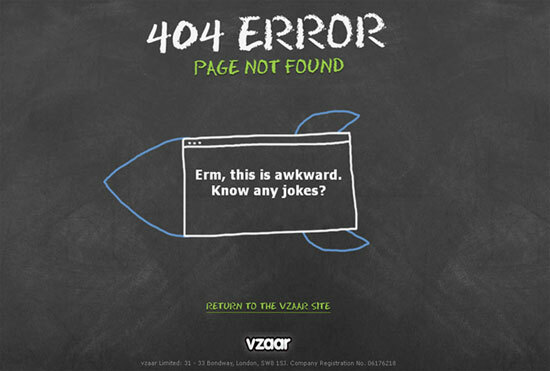 Those are pretty creative and funny Error pages. My web designer is so good but I haven't been curious enough if he can do such designs. 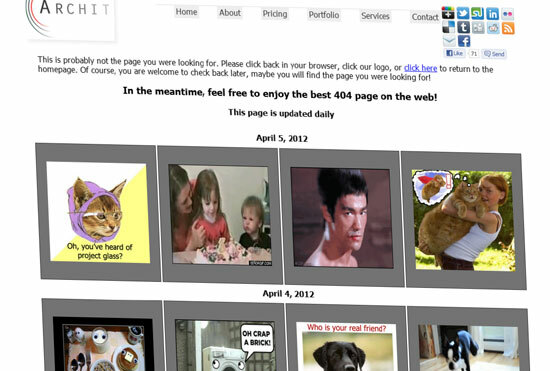 I hope he could make these funny pages too while exploring more about Houston SEO functions. 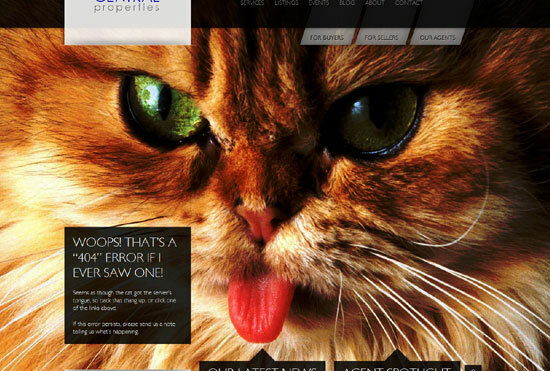 Those error web designs are very entertaining. Everyone who sees it would definitely not get annoyed but will even laugh at themselves. My part time job at SEO companies also teaches me to do stuff like this. 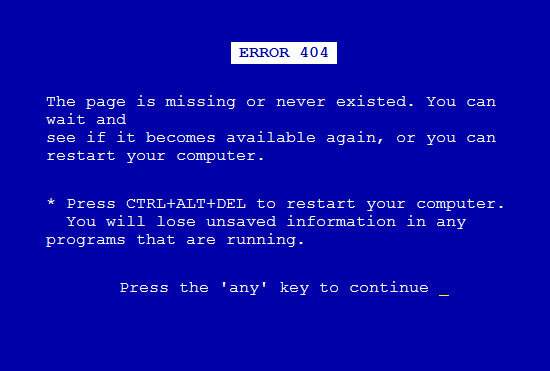 Hopefully I get to design beautiful error messages similar to these ones.